Have you lived to tell the tale of your holiday kitchen nightmares? You know the ones – you forgot to take the gizzard bag out of the turkey cavity before putting it in the oven, the turkey is raw in the center, you accidentally used salt instead of sugar in your pumpkin pie recipe, you gave up and ended up ordering pizza? All true, first-hand accounts. My Thanksgiving 1997 holiday nightmare took place in my sister Carolyn’s small Orlando apartment, and even smaller kitchen. The stars of the show: a massive frozen bird that would not thaw out, and an oven breathing its last, agonizing, slow breath. The tale ended with both of us exhausted, and dinner served after 10pm. Food reached the table at the same time as our sister’s dinner in Oregon. We shared the feast over the phone, despite the three-hour time difference. Holiday kitchen nightmares, I have so many stories. How about the time a last minute addition of 6 caused a scramble to my meticulously planned, plated 5-course Christmas Eve dinner for 12? It was the last time I prepared a plated menu with individual Cornish hens, oranges stuffed with twice baked sweet potatoes and mini apple tarts. Instead of midnight mass we had midnight dinner! Hey, it was ‘Noche Buena’ after all! Fun times. Lesson Learned: Always plan buffet meals with no assigned seating and no individually plated dishes. During the holidays, you never know who will show up. Isn’t it better to have an open door to welcome stragglers? Tis’ the Season. The more the merrier. Preparing a lavish holiday meal, from scratch, is one of my favorite parts of the season. Sharing great food with family and friends is always special, regardless of what you serve. Yet, there is something extra special about having a table full of dishes you only enjoy once a year. How often do you eat roasted turkey, green beans casserole, yams topped with marshmallows and pumpkin pies? I love how the house smells from all the autumn spices, and seeing the smiles, and sometimes the look of surprise, around the table as they bite into my juicy turkey, full of flavor from my 24-ingredient marinade, is priceless. I love to cook but I rarely have the time or inclination to do so, especially when a meal like this takes all day to prepare. What will your holiday table look like? I admire those home cooks who have their meal prep down to a science and start getting ready weeks in advance. I am not one of them. I’m often rushing through the grocery store the day before and preparing everything the day of. I laugh thinking about my holiday kitchen nightmares over the years. Now, I look for ways to avoid them. 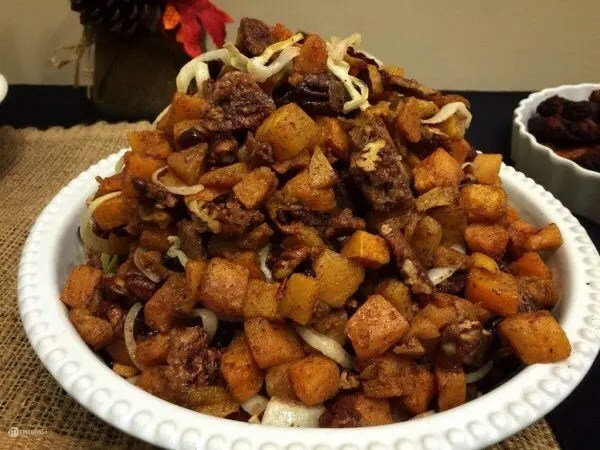 Easy Entertaining and letting others do part or all of the cooking so you can truly enjoy the best part of the season, spending time with family and friends, is the best way to go. I attended a preview of Whole Foods Market Orlando holiday dishes and I must admit, it was quite a revelation. One that definitely had me rethinking my holiday meal plans. I’ve always been hesitant about ordering dishes from a store during the holidays because they don’t usually taste homemade, and tend to have too many additives and preservatives. I realized I don’t have to work so hard to put on a great feast with foods that taste as good as homemade, made with ingredients that are good for you. Whole Foods Market is making entertaining easy. Most surprising was learning how cost effective their menus are. The common perception of Whole Foods Market being a place where you’ll easily spend a whole paycheck was challenged. Take a look at their holiday menus and pricing here. If you consider the fact most ingredients are organic or sustainably grown, the time you will be saving, the stress reduction, and the wow factor, it’s money well spent. I am still planning to prepare my holiday turkey and mom’s yams with toasted marshmallows. Those are traditions. However, everything else this year is coming from local shops like Whole Foods Market. I will put it all in my pretty platters and serving bowls, however, I’m certain the relaxed, on-time dinner will give away my secret, and that’s ok.
Get ready for this amazing holiday meal! A cheese board is perfect for Easy Entertaining. It looks fancy and all you have to do is buy a few different types, place on a board and serve with your favorite crusty breads and crackers. Add some nuts, dried fruits and grapes, and voila! It’s a party. Whole Foods Market’s certified cheese professionals will help you select the best cheese assortment for your table or you can order an American Artisan Platter or European Platter ready to go. 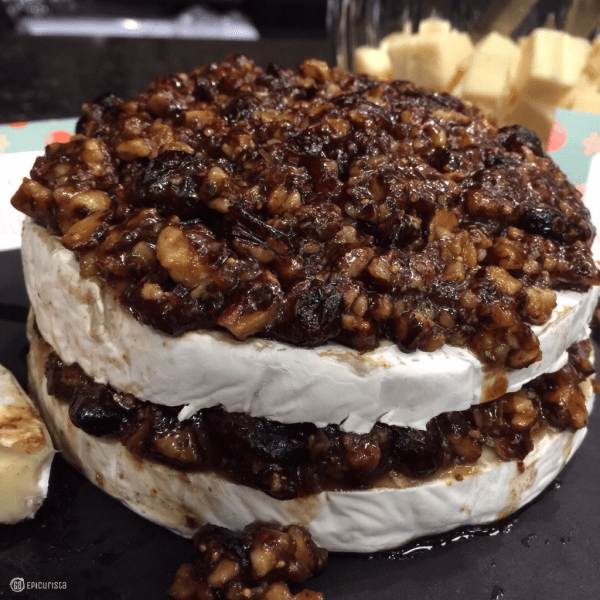 This gorgeous Cranberry Walnut & Fig Stuffed Brie was a favorite at the tasting. It will definitely be making an appearance at my holiday table this year. 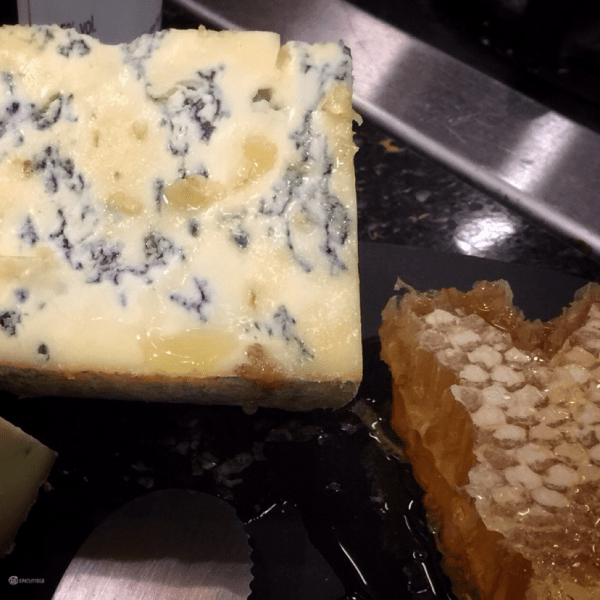 The Persille du Beaujolais blue cheese with honeycomb was a winner. Creamy, nutty with the subtle pungency you expect. 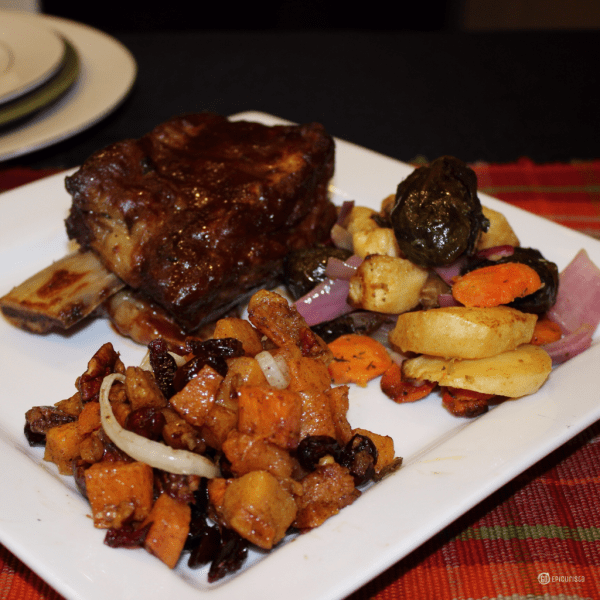 It tasted amazing in combination with the slow cooked short ribs. A few appetizer platters get the party started while you put the final touches on dinner. Take your pick: vegetable crudité, shrimp cocktail, Mediterranean antipasto, smoked seafood dip, smoked salmon, and charcuterie platters will keep everyone’s hunger at bay and encourage chatting in the living room. They also make great snacks while watching the football games. Caviar spread over little blini topped with crème fraiche will elevate any celebration. I had never sampled so many varieties of caviar side by side, which made it easy to pick my favorites. 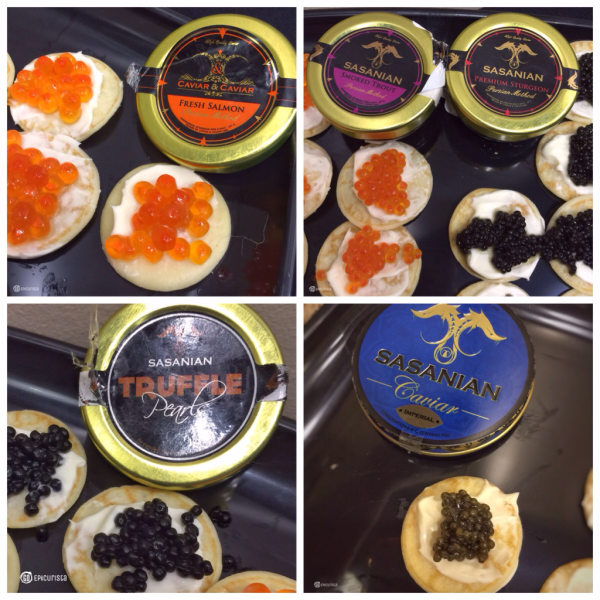 Sasanian Caviar offers a high quality collection of over 20 different ones to choose from. I liked the Smoked Trout which had a nice hint of hickory with delicate pearls, the Truffle Pearl had a gorgeous Italian truffle taste, and the Imperial was simply elegant, without being overpowering. Pair it with a glass of sparkling wine and it’s instant holiday cheer. The turkey is the toughest component of the holiday meal. You must thaw it properly (no one wants the gift of food poisoning), season it well (I like injecting the marinade and brining for 24 hours), and of course roasting it for the right amount of time and at the right temperature is key. Make a mistake and it’s quite easy to end up with dry turkey meat you need to drown in gravy to take a bite. Short cuts may reduce preparation time but not necessarily reduce stress. I will never forget Thanksgiving 2008. It was the first and last holiday we attempted to fry a turkey to cut down on prep time, and ended up with a completely charred bird. It looked like a large piece of coal. At least we didn’t burn the house down. According to the All-State commercial on TV, it’s a common holiday nightmare. At Whole Foods Market, you can order turkeys raised for the season, with no added growth hormones, no animal by-products in the feed and no antibiotics. 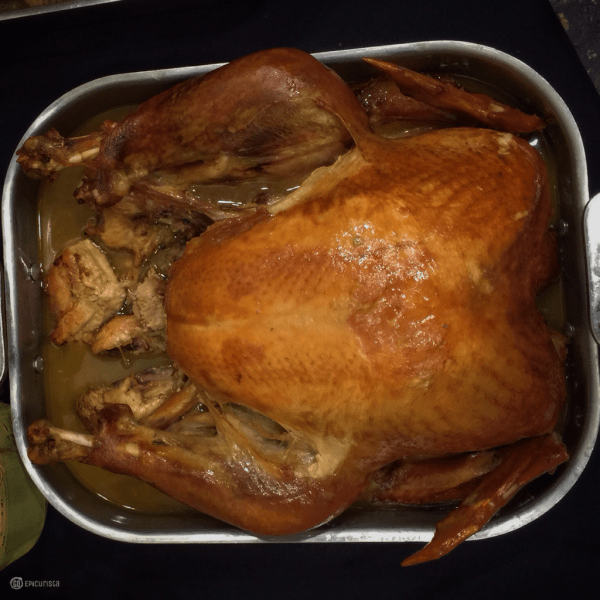 They offer a variety including organic, kosher, fresh brined and even a turducken! You can roast yourself or order fully cooked. All orders must be placed by Sunday prior to Thanksgiving. 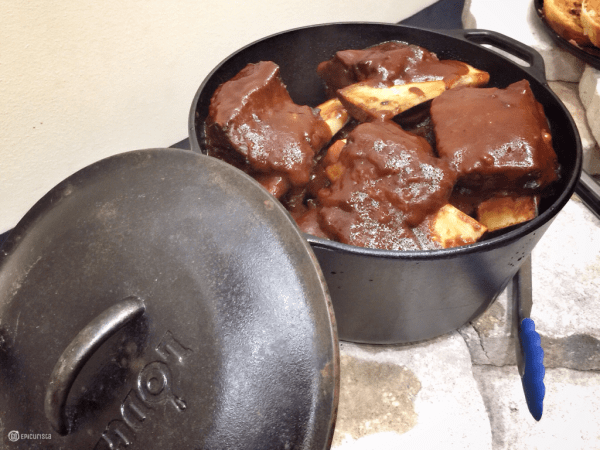 The 72-Hour Beef Boneless Short Ribs were full of flavor and fall-off-the-bone tender. What hearty dish for your Christmas dinner. 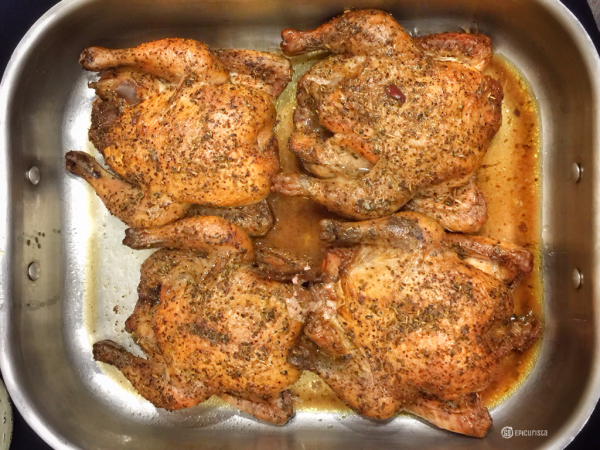 Cornish Hens are a nice turkey alternative for a smaller dinner party. 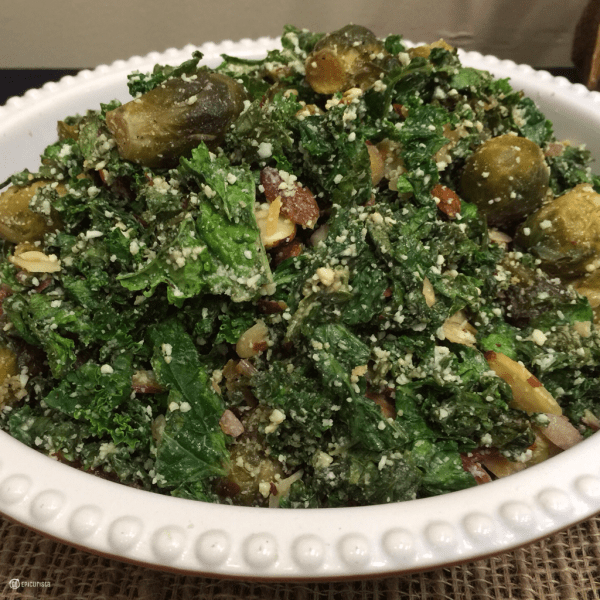 Kale & Brussels Sprouts Salad had a nice tangy dressing, similar to a lightly dressed Caesar salad. Kale is not easy to prepare and keep the right crunchy, yet soft texture without the bitterness. This one was done just right and guaranteed to be better than a plain green salad, which no one ever eats. Harvest Roasted Root Vegetables were tender and well seasoned. Just thinking about peeling and cutting all these vegetables makes me cringe. $17.99 for 2lbs is worth it. Cinnamon Dusted Butternut Squash with Candied Pecans & Cranberries has Autumn written all over it. Just looking at this picture makes me hungry. It tasted just like homemade with a touch of gourmet. 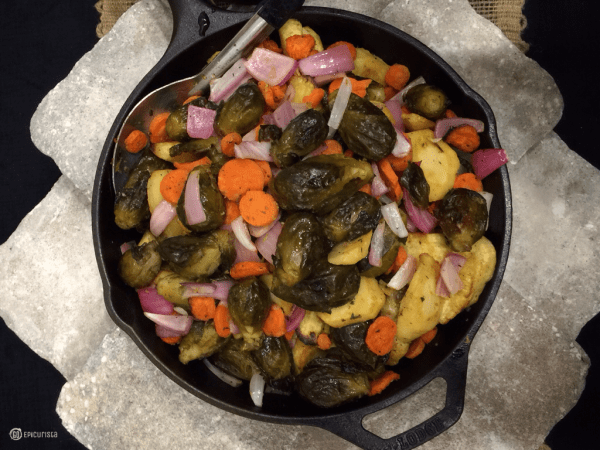 Whole Foods Market classic side dishes include mac n’ cheese, creamy mashed potatoes, Southern green bean casserole, and cornbread stuffing with rosemary & chestnuts. You can up the gourmet factor with black truffle macaroni & cheese, Parmigiano tarragon truffled cauliflower, and butternut squash risotto. All available to order in 2 lbs packages. They are ready to go and all you do is reheat. Many of these dishes are vegan or vegetarian. 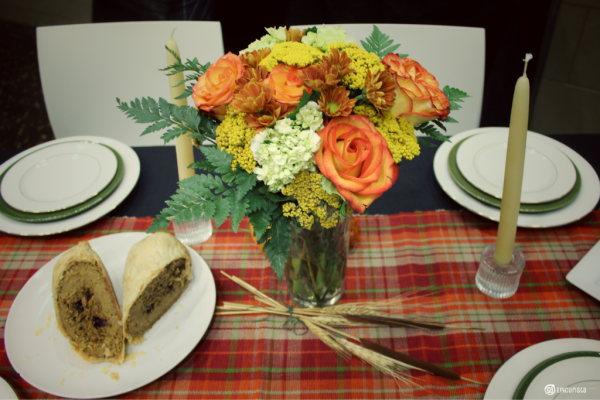 If you would like to offer a vegan option, the Vegan Field Roast en Croute is a good option. 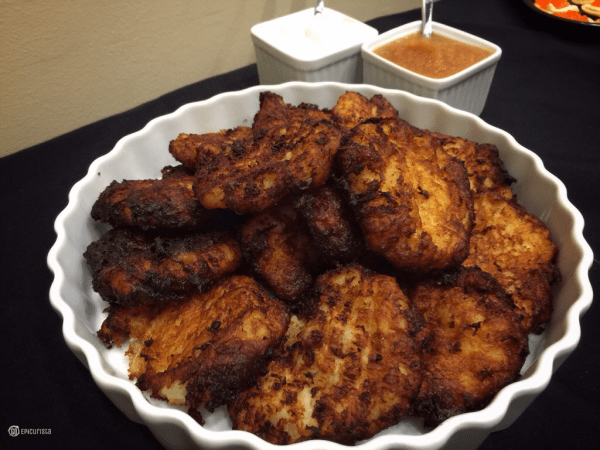 The Hanukkah Menu includes kosher turkeys, beef brisket, farm raised salmon, duck a l’orange and potato latkes. All items require a minimum of 48 hours to process. view a full Hanukkah menu online. Holiday pies are a must but who has time to bake? Decadent chocolate pecan, apple or traditional pumpkin spice are all winners. 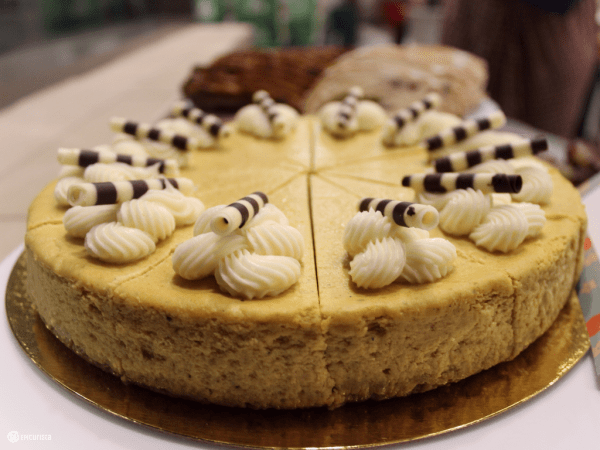 How about changing it up with a rich creamy pumpkin cheesecake? 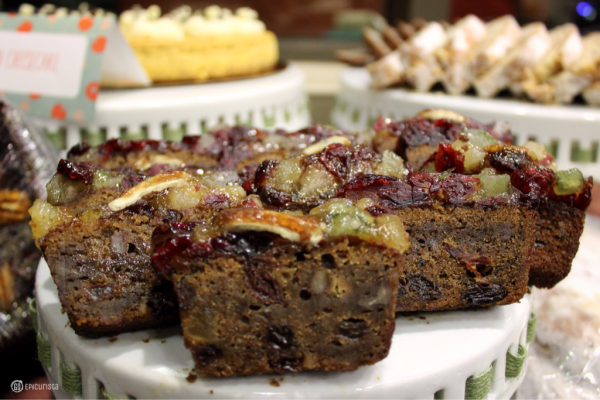 This is not your usual fruit cake. It was moist with a chewy, dense texture. You may go for seconds and probably won’t mind if you get it as a gift. 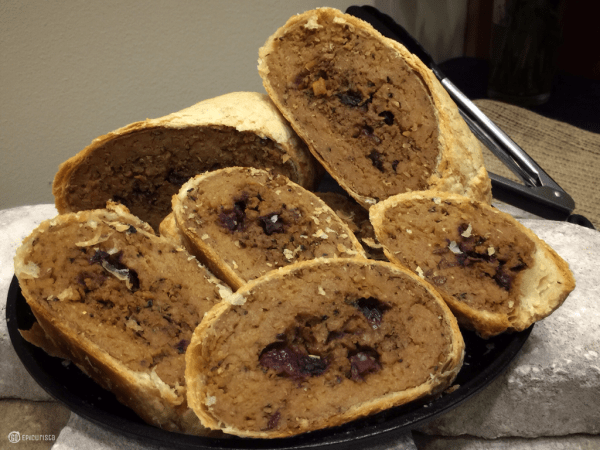 Cranberry Walnut Hearth Bread and Stollen are a great alternative to dinner rolls. They also make for great french toast the next morning. ^ Sparkling: Madame Liberte Brut Domaine Richel was bright and crisp with baked apple flavors. Bubbles always make any event feel more festive and this one goes well with the entire holiday meal, but especially with your appetizers. ^ White: Vin de Savio Apremont was citrusy with bright minerality. This crisp French white goes great with seafood. ^ Red: Joel Gott Grenache with notes of ripe blackberry and blueberry and scents of vanilla. I loved the elegance and roundness of this wine. 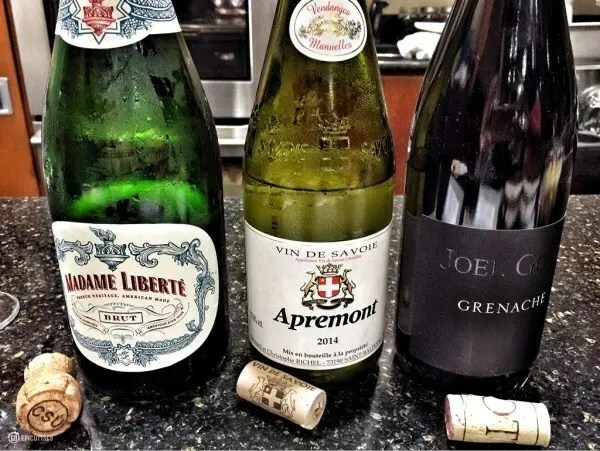 It will please the wine connoisseur but not scare away the wine newbie. The easiest way to dress up your table is with fresh flowers. 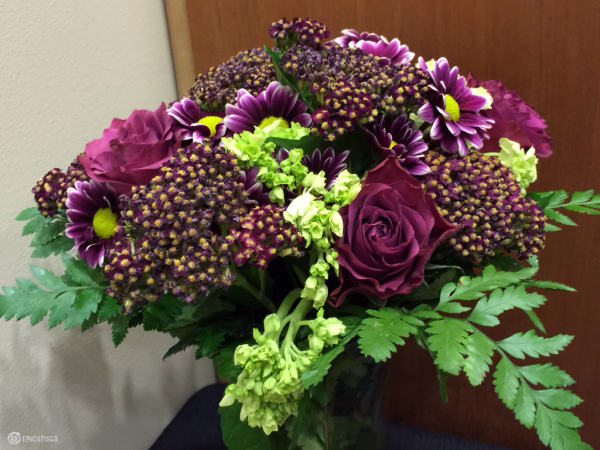 Whole Foods Market offer a variety of arrangements starting at $15. You can select one of their standard arrangements or have one custom made. This was the most surprising find of all. 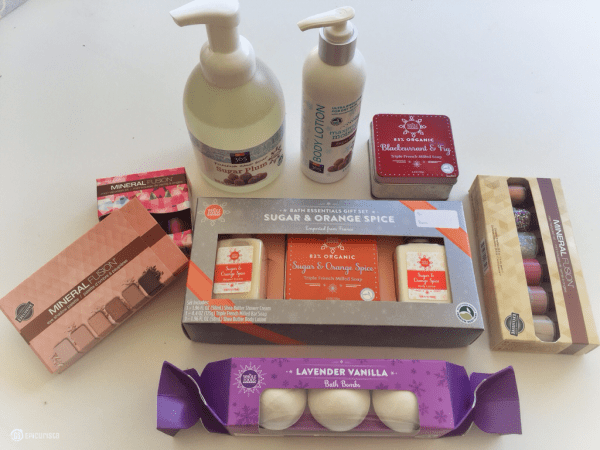 Whole Foods Market has a variety of products perfect for stocking stuffers and hostess gifts. Many are sourced with environmental impact in mind. Mineral Fusion nail polish and make-up kits, bath essentials and delicious smelling soaps and lotions. For more options on great shops to order your Thanksgiving To Go, check out this list. 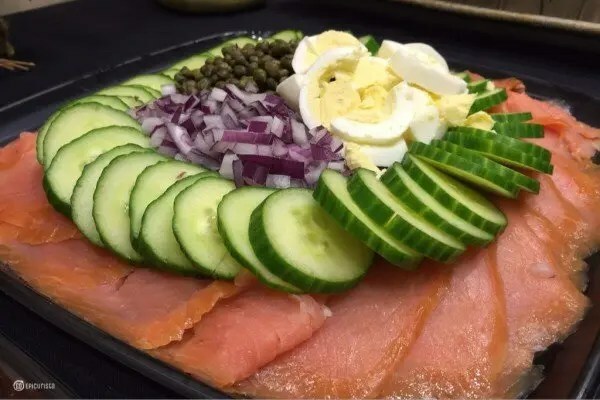 And if you prefer to leave the cooking AND the cleaning to the professionals, Orlando Restaurants and Hotels offer some fantastic holiday meals. 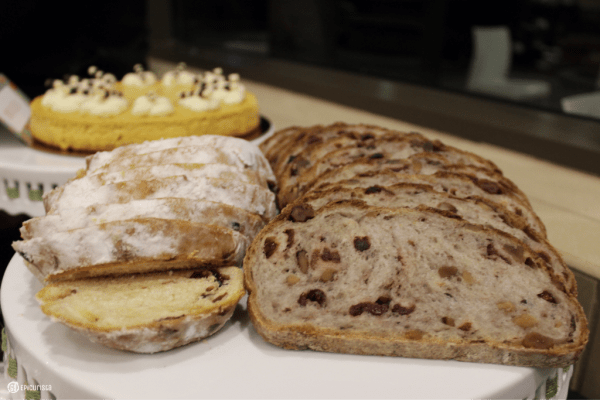 Check out these options for Thanksgiving and Christmas. 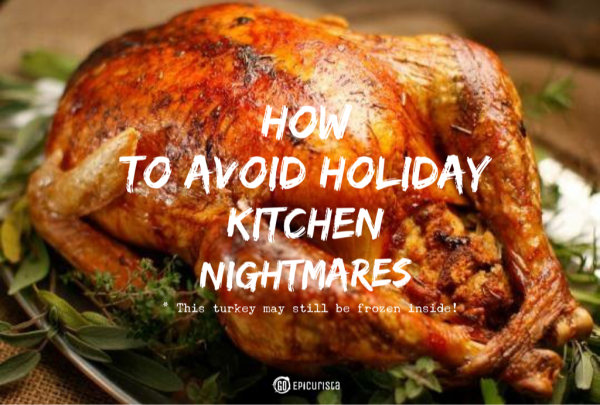 How will you avoid your own holiday kitchen nightmares? As cherished as all these memories of holidays past are for me, I am not inclined to repeat them. Do you have any good tips to make holiday entertaining easy? Please share in the comments below. Oh, and I would love to hear about your holiday kitchen nightmares. Do you have a good story? Please do tell. Wherever you are this holiday season, I hope you spend it sharing great food and wine with family and friends.